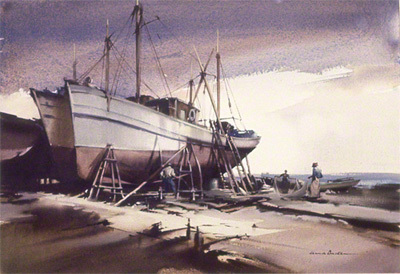 The picture shows two fishing boats on a beach being repaired. There are a number of wooden supports and ladders. Scene is somewhere in Spain. Claude Buckle’s water colour is painted using a restricted set of colours to betray early morning activity on the beach. Created in 1967.